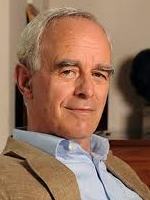 In his “Skeptic” column in Scientific American in March 2003, Michael Shermer cited a research study published in The Lancet, a leading medical journal, by Pim van Lommel and colleagues. Shermer asserted that van Lommel’s study “delivered a blow” to the idea that the mind and the brain could separate. Yet the researchers argued the exact opposite, and showed that conscious experience outside the body took place during a period of clinical death when the brain was flatlined. As Jay Ingram, of the Canadian Discovery Channel commented: “His use of this study to bolster his point is bogus. He could have said, ‘The authors think there’s a mystery, but I choose to interpret their findings differently’. But he didn’t. I find that very disappointing” (Toronto Star, March 16, 2003). Here, Pim van Lommel sets out the evidence that Shermer misrepresented. Only recently someone showed me the “Skeptic” column article by Michael Shermer. * From a well respected and, in my opinion, scientific journal like the Scientific American I always expect a well documented and scientific article, and I don’t know how thoroughly peer-reviewed the article from Shermer was by the editorial staff before publication. My reaction to this article by Shermer is because I am the main author of the study published in The Lancet, December 2001, entitled: “Near-death experience in survivors of cardiac arrest; a prospective study in the Netherlands”. About what he writes about the conclusions from our study, as well as from the effect of magnetic and electrical “stimulation” of the brain, forces me to write this paper, because I disagree with his theories as well as with his conclusions. We performed our prospective study in 344 survivors of cardiac arrest to study the frequency, the cause and the content of near-death experience (NDE). A near-death experience is the reported memory of all impressions during a special state of consciousness, including specific elements such as out-of-body experience, pleasant feelings, and seeing a tunnel, a light, deceased relatives, or a life review. In our study 282 patients (82%) did not have any memory of the period of unconsciousness, 62 patients (18%) however reported a NDE with all the “classical” elements. Between the two groups there was no difference in the duration of cardiac arrest or unconsciousness, intubation, medication, fear of death before cardiac arrest, gender, religion, education or foreknowledge about NDE. More frequent NDE was reported at age younger than 60 years, more than one cardiopulmonary resuscitation (CPR) during hospital stay, and previous NDE. Patients with memory defects after lengthy and complicated CPR reported less frequent NDE. In VF complete cardiac arrest occurs, with complete cessation of cerebral flow, and resulting in acute pancerebral anoxia. The Vmca, the middle cerebral artery blood flow, which is a reliable trend monitor of the cerebral blood flow, decreases to 0 cm/sec immediately after the induction of VF (2). Through many studies in human, as well as in animal models, cerebral function has been shown to be severely compromised during cardiac arrest and electric activity in both cerebral cortex and the deeper structures of the brain has been shown to be absent after a very short period of time. Monitoring of the electric activity of the cortex (EEG) has shown ischaemic changes consisting of a decrease of fast high amplitude waves and an increase of slow delta waves, and sometimes also an increase in amplitude of theta activity, progressively and ultimately declining to isoelectricity. More often initial slowing (attenuation) of the EEG waves is the first sign of cerebral ischaemia. The first ischaemic changes in the EEG are detected an average of 6.5 seconds after circulatory arrest. With prolongation of the cerebral ischaemia always a progress to an isoelectric (flat) line is monitored within 10 to 20 (mean 15) seconds from the onset of the cardiac arrest (3-6). Anoxia causes loss of function of our cell systems. However, in anoxia of only some minute’s duration this loss may be transient, in prolonged anoxia cell death occurs with permanent functional loss. During an embolic event a small clot obstructs the blood flow in a small vessel of the cortex, resulting in anoxia of that part of the brain with loss of electrical activity. This results in a functional loss of the cortex like hemiplegia or aphasia. When the clot is resolved or broken down within several minutes the lost cortical function is restored. This is called a transient ischaemic attack (TIA). However, when the clot obstructs the cerebral vessel for minutes to hours it will result in neuronal cell death with a permanent loss of function of this part of the brain, with persistent hemiplegia or aphasia, and the diagnosis of cerebro vascular accident (CVA) is made. So transient anoxia results in transient loss of functions. For decades, extensive research has been done to localize memories inside the brain, so far without success. In connection with the hypothesis that consciousness and memories are stored inside the brain the question also arises how a non-material activity such as concentrated attention or thinking can correspond with a visible (material) reaction in the form of a measurable electrical, magnetic and chemical activity at a certain place in the brain. Different mental activities give rise to changing patterns of activity in different parts of the brain. This has been shown in neurophysiology through EEG, magneto-encephalogram (MEG) and at present also through magnetic resonance imaging (MRI) and positron emission tomography (PET-scan). (9-11) Also an increase in cerebral blood flow is observed during such a non-material activity like thinking (12). It is also not well understood how it is to be explained that in a sensory experiment following a physical sensation the person involved in the test stated that he was aware (conscious) of the sensation a few thousands of a second following the stimulation, while the subject’s brain showed that neuronal adequacy wasn’t achieved until after a full 500 msec. following the sensation. This experiment has led to the so-called delay-and-antedating hypothesis (13). Most body cells, and especially all neurons, show an electrical potential across cell membranes, formed by the presence of a metabolic Na/K pump. Transportation of information along neurons happens by means of action potentials, differences in membrane potential caused by synaptic depolarisation (excitatory) and hyperpolarisation (inhibitory). The sum total of changes along neurons causes transient electric fields, and therefore also transient magnetic fields, along the synchronously activated dendrites. Not the number of neurons, the precise shape of the dendrites (dendritic tree), nor the accurate position of synapses, neither the firing of individual neurons is crucial, but the derivative, the fleeting electric and/or magnetic fields generated along the dendrites. These should be shaped as optimally as possible into short-lasting meaningful patterns, constantly changing in four-dimensional shape and intensity (self-organization), and constantly mutually interacting between all neurons. This process can be considered as a biological quantum coherence phenomenon. The influence of external localized magnetic and electric fields on these constant changing electric and/or magnetic fields during normal function of the brain should now be mentioned. There is a continuous exchange of objective information by means of electromagnetic fields (real photons) for radio, TV, mobile telephone, or laptop computer. We are unaware of the innumerable amounts of electromagnetic fields that constantly, day and night, exist around us and through us as well as through structures like walls and buildings. We only become aware of these electromagnetic informational fields the moment we use our mobile telephone or by switching on our radio, TV or laptop. What we receive is not inside the instrument, nor in the components, but thanks to the receiver the information from the electromagnetic fields becomes observable to our senses and hence perception occurs in our consciousness. The voice we hear in our telephone is not inside the telephone. The concert we hear in our radio is transmitted to our radio. The images and music we hear and see on TV is transmitted to our TV set. The internet is not located inside our laptop. We can receive at about the same time what is transmitted with the speed of light from a distance of some hundreds or thousands of miles. And if we switch off the TV set, the reception disappears, but the transmission continues. The information transmitted remains present within the electromagnetic fields. The connection has been interrupted, but it has not vanished and can still be received elsewhere by using another TV set. Again, we do not realize the thousands of telephone calls, the hundreds of radio and TV transmissions, as well as the internet, coded as electromagnetic fields, that exist around us and through us. Michael Shermer states that, in reality, all experience is mediated and produced by the brain, and that so-called paranormal phenomena like out-of body experiences are nothing more than neuronal events. The study of patients with NDE, however, clearly shows us that consciousness with memories, cognition, with emotion, self-identity, and perception out and above a life-less body is experienced during a period of a non-functioning brain (transient pancerebral anoxia). And focal functional loss by inhibition of local cortical regions happens by “stimulation” of those regions with electricity (photons) or with magnetic fields (photons), resulting sometimes in out-of-body states. To quote Michael Shermer: It is the job of science to solve those puzzles with natural, rather than supernatural, explanations. But one has to be aware of the progress of science, and to study recent literature, to know what is going on in current science. For me science is asking questions with an open mind, and not being afraid to reconsider widely accepted but scientifically not proven concepts like the concept that consciousness and memories are a product of the brain. But also we should realize that we need a functioning brain to receive our consciousness into our waking consciousness. There are still a lot of mysteries to solve, but one has not to talk about paranormal, supernatural or pseudoscience to look for scientific answers on the intriguing relation between consciousness and memories with the brain. * Michael Shermer, “Demon-Haunted Brain” Scientific American, March 2003, p. 25. 1. Van Lommel W., Van Wees R., Meyers V., Elfferich I. Near-death experience in survivors of cardiac arrest: a prospective study in the Netherlands. The Lancet 2001; 358: 2039-2045. 2. Gopalan KT, Lee J, Ikeda S, Burch CM. Cerebral blood flow velocity during repeatedly induced ventricular fibrillation. J. Clin. Anesth. 1999 Jun; 11 (4): 290-5. 3. De Vries JW, Bakker PFA, Visser GH, Diephuis JC, Van Huffelen AC Changes in cerebral oxygen uptake and cerebral electrical activity during defibrillation threshold testing. Anesth. Analg. 1998; 87: 16-20. 4. Clute H, Levy WJ. Elecroencephalographic changes during brief cardiac arrest in humans. Anesthesiology 1990; 73 : 821-825. 5. Losasso TJ, Muzzi DA, Meyer FB, Sharbrough FW. Electroencephalographic monitoring of cerebral function during asystole and successful cardiopulmonary resuscitation. Anesth. Analg. 1992; 75: 1021-4. 6. Parnia S, Fenwick P. Near death experiences in cardiac arrest: visions of a dying brain or visions of a new science of consciousness. Review article. Resuscitation 2002; 52: 5-11. 7. Smith DS, Levy W, Maris M, Chance B Reperfusion hyperoxia in brain after circulatory arrest in humans . Anesthesiology 1990; 73 : 12-19. 8. Sabom M.B. Light and Death: One Doctors Fascinating Account of Near-Death Experiences. “The Case of Pam Reynolds” in chapter 3: Death: the Final Frontier, (37-52), Zondervan Publishing House, Grand Rapids, Michigan, USA. 1998. 9. Desmedt J.E., Robertson D. Differential enhancement of early and late components of the cerebral somatosensory evoked potentials during forced-paced cognitive tasks in man. Journal of Physiology 1977; 271: 761-782. 10. Roland P.E., Friberg L. Localization in cortical areas activated by thinking. Journal of Neurophysiology 1985; 53: 1219-1243. 11. Eccles J.C. The effect of silent thinking on the cerebral cortex. Truth Journal, International Interdisciplinary Journal of Christian Thought. 1988; Vol 2. 12. Roland P.E. Somatotopical tuning of postcentral gyrus during focal attention in man. A regional cerebral blood flow study. Journal of Neurophysiology 1981; 46: 744-754. 13. Libet B. Subjective antedating of a sensory experience and mind-brain theories: Reply to Honderich (1984). Journal of Theoretical Biology 1985; 144: 563-570. 14. Hallett M. Transcranial magnetic stimulation and the human brain. Nature 2000; 406: 147-150. 15. Penfield W. The Excitable Cortex in Conscious Man. Liverpool: Liverpool University Press, 1958. 16. Penfield W. The Mystery of the Mind. Princeton University Press, Princeton. 1975. 17. Blanke O., Ortigue S., Landis Th., Seeck M. Stimulating illusory own-body perceptions. The part of the brain that can induce out-of-body experiences has been located. Nature 2002, 419: 269-270. 18. Romijn, H. Are virtual photons the elementary carriers of consciousness? Journal of Consciousness Studies, 2002; 9: 61-81.